In ecology, sustainability is the capacity to endure; it is how biological systems remain diverse and productive indefinitely. Long-lived and healthy wetlands and forests are examples of sustainable biological systems. In more general terms, sustainability is the endurance of systems and processes. The organizing principle for sustainability is sustainable development, which includes the four interconnected domains: ecology, economics, politics and culture. Sustainability science is the study of sustainable development and environmental science. Sustainability can also be defined as the ability to be sustained, supported, upheld, or confirmed. Despite the increased popularity of the use of the term "sustainability", the possibility that human societies will achieve environmental sustainability has been, and continues to be, questioned—in light of environmental degradation, climate change, overconsumption, population growth and societies' pursuit of indefinite economic growth in a closed system. The 2005 World Summit on Social Development identified sustainable development goals, such as economic development, social development and environmental protection. This view has been expressed as an illustration using three overlapping ellipses indicating that the three pillars of sustainability are not mutually exclusive and can be mutually reinforcing. The three pillars have served as a common ground for numerous sustainability standards and certification systems in recent years, in particular in the food industry. Standards which today explicitly refer to the triple bottom line include Rainforest Alliance, Fairtrade and UTZ Certified. Some sustainability experts and practitioners have illustrated four pillars of sustainability, or a quadruple bottom line. One such pillar is future generations, which emphasizes the long-term thinking associated with sustainability. A study from 2005 pointed out that environmental justice is as important as is sustainable development. Ecological economist Herman Daly asked, "what use is a sawmill without a forest?" From this perspective, the economy is a subsystem of human society, which is itself a subsystem of the biosphere, and a gain in one sector is a loss from another. This perspective led to the nested circles figure of 'economics' inside 'society' inside the 'environment'. The simple definition that sustainability is something that improves "the quality of human life while living within the carrying capacity of supporting eco-systems", though vague, conveys the idea of sustainability having quantifiable limits. But sustainability is also a call to action, a task in progress or “journey” and therefore a political process, so some definitions set out common goals and values. The Earth Charter speaks of “a sustainable global society founded on respect for nature, universal human rights, economic justice, and a culture of peace.” This suggested a more complex figure of sustainability, which included the importance of the domain of 'politics'. Integral elements of sustainability are research and innovation activities. A telling example is the European environmental research and innovation policy. It aims at defining and implementing a transformative agenda to greening the economy and the society as a whole so to make them sustainable. Research and innovation in Europe are financially supported by the programme Horizon 2020, which is also open to participation worldwide. Resiliency in ecology is the capacity of an ecosystem to absorb disturbance and still retain its basic structure and viability. Resilience-thinking evolved from the need to manage interactions between human-constructed systems and natural ecosystems in a sustainable way despite the fact that to policymakers a definition remains elusive. Resilience-thinking addresses how much can planetary ecological systems withstand assault from human disturbances and still deliver the services current and future generations need from them. It is also concerned with commitment from geopolitical policymakers to promote and manage essential planetary ecological resources in order to promote resilience and achieve sustainability of these essential resources for benefit of future generations of life? The resiliency of an ecosystem, and thereby, its sustainability, can be reasonably measured at junctures or events where the combination of naturally occurring regenerative forces (solar energy, water, soil, atmosphere, vegetation, and biomass) interact with the energy released into the ecosystem from disturbances. The history of sustainability traces human-dominated ecological systems from the earliest civilizations to the present time. This history is characterized by the increased regional success of a particular society, followed by crises that were either resolved, producing sustainability, or not, leading to decline. The United Nations Millennium Declaration identified principles and treaties on sustainable development, including economic development, social development and environmental protection. The Circles of Sustainability approach distinguishes the four domains of economic, ecological, political and cultural sustainability. This in accord with the United Nations Agenda 21, which specifies culture as the fourth domain of sustainable development. Sustainability is studied and managed over many scales (levels or frames of reference) of time and space and in many contexts of environmental, social and economic organization. The focus ranges from the total carrying capacity (sustainability) of planet Earth to the sustainability of economic sectors, ecosystems, countries, municipalities, neighbourhoods, home gardens, individual lives, individual goods and services[clarification needed], occupations, lifestyles, behaviour patterns and so on. In short, it can entail the full compass of biological and human activity or any part of it. As Daniel Botkin, author and environmentalist, has stated: "We see a landscape that is always in flux, changing over many scales of time and space." As such, a long-running impediment to the design and implementation of practical measures to reach global sustainability has been the size of planet Earth and the complex processes and systems involved. To shed light on the big picture, explorer and sustainability campaigner Jason Lewis has drawn parallels to other, more tangible closed systems. For example, he likens human existence on Earth — isolated as the planet is in space, whereby people cannot be evacuated to relieve population pressure and resources cannot be imported to prevent accelerated depletion of resources — to life at sea on a small boat isolated by water. In both cases, he argues, exercising the precautionary principle is a key factor in survival. Sustainability measurement is a term that denotes the measurements used as the quantitative basis for the informed management of sustainability. The metrics used for the measurement of sustainability (involving the sustainability of environmental, social and economic domains, both individually and in various combinations) are evolving: they include indicators, benchmarks, audits, sustainability standards and certification systems like Fairtrade and Organic, indexes and accounting, as well as assessment, appraisal and other reporting systems. They are applied over a wide range of spatial and temporal scales. According to the 2008 Revision of the official United Nations population estimates and projections, the world population is projected to reach 7 billion early in 2012, up from the current 6.9 billion (May 2009), to exceed 9 billion people by 2050. Most of the increase will be in developing countries whose population is projected to rise from 5.6 billion in 2009 to 7.9 billion in 2050. This increase will be distributed among the population aged 15–59 (1.2 billion) and 60 or over (1.1 billion) because the number of children under age 15 in developing countries is predicted to decrease. In contrast, the population of the more developed regions is expected to undergo only slight increase from 1.23 billion to 1.28 billion, and this would have declined to 1.15 billion but for a projected net migration from developing to developed countries, which is expected to average 2.4 million persons annually from 2009 to 2050. Long-term estimates in 2004 of global population suggest a peak at around 2070 of nine to ten billion people, and then a slow decrease to 8.4 billion by 2100. The Millennium Ecosystem Assessment is an international synthesis by over 1000 of the world's leading biological scientists that analyzes the state of the Earth’s ecosystems and provides summaries and guidelines for decision-makers. It concludes that human activity is having a significant and escalating impact on the biodiversity of world ecosystems, reducing both their resilience and biocapacity. The report refers to natural systems as humanity's "life-support system", providing essential "ecosystem services". The assessment measures 24 ecosystem services concluding that only four have shown improvement over the last 50 years, 15 are in serious decline, and five are in a precarious condition. According to the data that member countries represented to the United Nations, Cuba was the only nation in the world in 2006 that met the World Wide Fund for Nature's definition of sustainable development, with an ecological footprint of less than 1.8 hectares per capita, 1.5, and a Human Development Index of over 0.8, 0.855. Water covers 71% of the Earth's surface. Of this, 97.5% is the salty water of the oceans and only 2.5% freshwater, most of which is locked up in the Antarctic ice sheet. The remaining freshwater is found in glaciers, lakes, rivers, wetlands, the soil, aquifers and atmosphere. Due to the water cycle, fresh water supply is continually replenished by precipitation, however there is still a limited amount necessitating management of this resource. Awareness of the global importance of preserving water for ecosystem services has only recently emerged as, during the 20th century, more than half the world’s wetlands have been lost along with their valuable environmental services. Increasing urbanization pollutes clean water supplies and much of the world still does not have access to clean, safe water. Greater emphasis is now being placed on the improved management of blue (harvestable) and green (soil water available for plant use) water, and this applies at all scales of water management. Since the Neolithic Revolution about 47% of the world’s forests have been lost to human use. Present-day forests occupy about a quarter of the world’s ice-free land with about half of these occurring in the tropics. In temperate and boreal regions forest area is gradually increasing (with the exception of Siberia), but deforestation in the tropics is of major concern. Food is essential to life. Feeding more than seven billion human bodies takes a heavy toll on the Earth’s resources. This begins with the appropriation of about 38% of the Earth’s land surface and about 20% of its net primary productivity. Added to this are the resource-hungry activities of industrial agribusiness – everything from the crop need for irrigation water, synthetic fertilizers and pesticides to the resource costs of food packaging, transport (now a major part of global trade) and retail. Environmental problems associated with industrial agriculture and agribusiness are now being addressed through such movements as sustainable agriculture, organic farming and more sustainable business practices. The Sun's energy, stored by plants (primary producers) during photosynthesis, passes through the food chain to other organisms to ultimately power all living processes. Since the industrial revolution the concentrated energy of the Sun stored in fossilized plants as fossil fuels has been a major driver of technology which, in turn, has been the source of both economic and political power. In 2007 climate scientists of the IPCC concluded that there was at least a 90% probability that atmospheric increase in CO2 was human-induced, mostly as a result of fossil fuel emissions but, to a lesser extent from changes in land use. Stabilizing the world’s climate will require high-income countries to reduce their emissions by 60–90% over 2006 levels by 2050 which should hold CO2 levels at 450–650 ppm from current levels of about 380 ppm. Above this level, temperatures could rise by more than 2 °C to produce “catastrophic” climate change. Reduction of current CO2 levels must be achieved against a background of global population increase and developing countries aspiring to energy-intensive high consumption Western lifestyles. Water security and food security are inextricably linked. In the decade 1951–60 human water withdrawals were four times greater than the previous decade. This rapid increase resulted from scientific and technological developments impacting through the economy – especially the increase in irrigated land, growth in industrial and power sectors, and intensive dam construction on all continents. This altered the water cycle of rivers and lakes, affected their water quality and had a significant impact on the global water cycle. Currently towards 35% of human water use is unsustainable, drawing on diminishing aquifers and reducing the flows of major rivers: this percentage is likely to increase if climate change impacts become more severe, populations increase, aquifers become progressively depleted and supplies become polluted and unsanitary. From 1961 to 2001 water demand doubled — agricultural use increased by 75%, industrial use by more than 200%, and domestic use more than 400%. In the 1990s it was estimated that humans were using 40–50% of the globally available freshwater in the approximate proportion of 70% for agriculture, 22% for industry, and 8% for domestic purposes with total use progressively increasing. Every economic activity produces material that can be classified as waste. To reduce waste industry, business and government are now mimicking nature by turning the waste produced by industrial metabolism into resource. Dematerialization is being encouraged through the ideas of industrial ecology, ecodesign and ecolabelling. In addition to the well-established “reduce, reuse and recycle,” shoppers are using their purchasing power for ethical consumerism. On one account, sustainability "concerns the specification of a set of actions to be taken by present persons that will not diminish the prospects of future persons to enjoy levels of consumption, wealth, utility, or welfare comparable to those enjoyed by present persons." Sustainability interfaces with economics through the social and ecological consequences of economic activity. Sustainability economics represents: "... a broad interpretation of ecological economics where environmental and ecological variables and issues are basic but part of a multidimensional perspective. Social, cultural, health-related and monetary/financial aspects have to be integrated into the analysis." However, the concept of sustainability is much broader than the concepts of sustained yield of welfare, resources, or profit margins. At present, the average per capita consumption of people in the developing world is sustainable but population numbers are increasing and individuals are aspiring to high-consumption Western lifestyles. The developed world population is only increasing slightly but consumption levels are unsustainable. The challenge for sustainability is to curb and manage Western consumption while raising the standard of living of the developing world without increasing its resource use and environmental impact. This must be done by using strategies and technology that break the link between, on the one hand, economic growth and on the other, environmental damage and resource depletion. A recent UNEP report proposes a green economy defined as one that “improves human well-being and social equity, while significantly reducing environmental risks and ecological scarcities”: it "does not favor one political perspective over another but works to minimize excessive depletion of natural capital". The report makes three key findings: “that greening not only generates increases in wealth, in particular a gain in ecological commons or natural capital, but also (over a period of six years) produces a higher rate of GDP growth”; that there is “an inextricable link between poverty eradication and better maintenance and conservation of the ecological commons, arising from the benefit flows from natural capital that are received directly by the poor”; "in the transition to a green economy, new jobs are created, which in time exceed the losses in “brown economy” jobs. However, there is a period of job losses in transition, which requires investment in re-skilling and re-educating the workforce”. In economic and environmental fields, the term decoupling is becoming increasingly used in the context of economic production and environmental quality. When used in this way, it refers to the ability of an economy to grow without incurring corresponding increases in environmental pressure. Ecological economics includes the study of societal metabolism, the throughput of resources that enter and exit the economic system in relation to environmental quality. An economy that is able to sustain GDP growth without having a negative impact on the environment is said to be decoupled. Exactly how, if, or to what extent this can be achieved is a subject of much debate. In 2011 the International Resource Panel, hosted by the United Nations Environment Programme (UNEP), warned that by 2050 the human race could be devouring 140 billion tons of minerals, ores, fossil fuels and biomass per year – three times its current rate of consumption – unless nations can make serious attempts at decoupling. The report noted that citizens of developed countries consume an average of 16 tons of those four key resources per capita per annum (ranging up to 40 or more tons per person in some developed countries). By comparison, the average person in India today consumes four tons per year. Sustainability studies analyse ways to reduce resource intensity (the amount of resource (e.g. water, energy, or materials) needed for the production, consumption and disposal of a unit of good or service) whether this be achieved from improved economic management, product design, or new technology. The idea of sustainability as a business opportunity has led to the formation of organizations such as the Sustainability Consortium of the Society for Organizational Learning, the Sustainable Business Institute, and the World Council for Sustainable Development. The expansion of sustainable business opportunities can contribute to job creation through the introduction of green-collar workers. Research focusing on progressive corporate leaders who have integrated sustainability into commercial strategy has yielded a leadership competency model for sustainability, and led to emergence of the concept of "embedded sustainability" - defined by its authors Chris Laszlo and Nadya Zhexembayeva as "incorporation of environmental, health, and social value into the core business with no trade-off in price or quality – in other words, with no social or green premium." Laszlo and Zhexembayeva's research showed that embedded sustainability offers at least seven distinct opportunities for business value creation: a) better risk-management, b) increased efficiency through reduced waste and resource use, c) better product differentiation, d) new market entrances, e) enhanced brand and reputation, f) greater opportunity to influence industry standards, and g) greater opportunity for radical innovation. 2014 research further suggested that innovation driven by resource depletion can result in fundamental advantages for company products and services, as well as the company strategy as a whole, when right principles of innovation are applied. By this logic, market-based solutions to ecological crises (ecological economics, environmental economics, green economy) are rejected as technical tweaks that do not confront capitalism’s structural failures. “Low-risk” technology/science-based solutions such as solar power, sustainable agriculture, and increases in energy efficiency are seen as necessary but insufficient. “High-risk” technological solutions such as nuclear power and climate engineering are entirely rejected. Attempts made by businesses to “greenwash” their practices are regarded as false advertising, and it is pointed out that implementation of renewable technology (such as Walmart’s proposition to supply their electricity with solar power) has the effect opposite of reductions in resource consumption, viz. further economic growth. Sustainable business models and the triple bottom line are viewed as morally praiseworthy but ignorant to the tendency in capitalism for the distribution of wealth to become increasingly unequal and socially unstable/unsustainable. Ecosocialists claim that the general unwillingness of capitalists to tolerate—and capitalist governments to implement—constraints on maximum profit (such as ecotaxes or preservation and conservation measures) renders environmental reforms incapable of facilitating large-scale change: “History teaches us that although capitalism has at times responded to environmental movements . . . at a certain point, at which the system’s underlying accumulation drive is affected, its resistance to environmental demands stiffens.” They also note that, up until the event of total ecological collapse, destruction caused by natural disasters generally causes an increase in economic growth and accumulation; thus, capitalists have no foreseeable motivation to reduce the probability of disasters (i.e. convert to sustainable/ecological production). Social disruptions like war, crime and corruption divert resources from areas of greatest human need, damage the capacity of societies to plan for the future, and generally threaten human well-being and the environment. Broad-based strategies for more sustainable social systems include: improved education and the political empowerment of women, especially in developing countries; greater regard for social justice, notably equity between rich and poor both within and between countries; and intergenerational equity. Depletion of natural resources including fresh water increases the likelihood of “resource wars”. This aspect of sustainability has been referred to as environmental security and creates a clear need for global environmental agreements to manage resources such as aquifers and rivers which span political boundaries, and to protect shared global systems including oceans and the atmosphere. A major hurdle to achieve sustainability is the alleviation of poverty. It has been widely acknowledged that poverty is one source of environmental degradation. Such acknowledgment has been made by the Brundtland Commission report Our Common Future and the Millennium Development Goals. There is a growing realization in national governments and multilateral institutions that it is impossible to separate economic development issues from environment issues: according to the Brundtland report, “poverty is a major cause and effect of global environmental problems. It is therefore futile to attempt to deal with environmental problems without a broader perspective that encompasses the factors underlying world poverty and international inequality.” Individuals living in poverty tend to rely heavily on their local ecosystem as a source for basic needs (such as nutrition and medicine) and general well-being. As population growth continues to increase, increasing pressure is being placed on the local ecosystem to provide these basic essentials. According to the UN Population Fund, high fertility and poverty have been strongly correlated, and the world’s poorest countries also have the highest fertility and population growth rates. The word sustainability is also used widely by western country development agencies and international charities to focus their poverty alleviation efforts in ways that can be sustained by the local populous and its environment. For example, teaching water treatment to the poor by boiling their water with charcoal, would not generally be considered a sustainable strategy, whereas using PET solar water disinfection would be. Also, sustainable best practices can involve the recycling of materials, such as the use of recycled plastics for lumber where deforestation has devastated a country's timber base. Another example of sustainable practices in poverty alleviation is the use of exported recycled materials from developed to developing countries, such as Bridges to Prosperity's use of wire rope from shipping container gantry cranes to act as the structural wire rope for footbridges that cross rivers in poor rural areas in Asia and Africa. According to Murray Bookchin, the idea that humans must dominate nature is common in hierarchical societies. Bookchin contends that capitalism and market relationships, if unchecked, have the capacity to reduce the planet to a mere resource to be exploited. Nature is thus treated as a commodity: “The plundering of the human spirit by the market place is paralleled by the plundering of the earth by capital.” Social ecology, founded by Bookchin, is based on the conviction that nearly all of humanity's present ecological problems originate in, indeed are mere symptoms of, dysfunctional social arrangements. Whereas most authors proceed as if our ecological problems can be fixed by implementing recommendations which stem from physical, biological, economic etc., studies, Bookchin's claim is that these problems can only be resolved by understanding the underlying social processes and intervening in those processes by applying the concepts and methods of the social sciences. Other approaches, loosely based around New Urbanism, are successfully reducing environmental impacts by altering the built environment to create and preserve sustainable cities which support sustainable transport. Residents in compact urban neighborhoods drive fewer miles, and have significantly lower environmental impacts across a range of measures, compared with those living in sprawling suburbs. In sustainable architecture the recent movement of New Classical Architecture promotes a sustainable approach towards construction, that appreciates and develops smart growth, architectural tradition and classical design. This in contrast to modernist and globally uniform architecture, as well as opposing solitary housing estates and suburban sprawl. Both trends started in the 1980s. The concept of Circular flow land use management has also been introduced in Europe to promote sustainable land use patterns that strive for compact cities and a reduction of greenfield land take by urban sprawl. Beckmann, Volker, Nguyen Huu Dung, Max Spoor, Justus Wesseler, Shi Xiaoping (eds.) (2011). Economic Transition and Natural Resource Management in East and Southeast Asia. Series on Institutional Change in Agriculture and Natural Resources, Shaker-Publisher, Aachen. Diamond, Jared (2005). Collapse: How Societies Choose to Fail or Succeed, Viking Penguin, New York. Dresner, Simon (2002). The Principles of Sustainability, Earth Scan Publications, London, UK. Huesemann, Michael H., and Joyce A. Huesemann (2011). Technofix: Why Technology Won’t Save Us or the Environment, Chapter 6, “Sustainability or Collapse”, and Chapter 13, “The Design of Environmentally Sustainable and Socially Appropriate Technologies”, New Society Publishers, Gabriola Island, British Columbia, Canada, ISBN 0865717044, 464 pp. Meadows, Donella H. (1972). Limits to Growth, Signet. Tainter, Joseph A. (1990). The Collapse of Complex Societies, Cambridge University Press, Cambridge, UK. Trainer, Ted. (1995). The Conserver Society: Alternatives for Sustainability, Zed Books, London, UK. Wesseler, Justus, Hans-Peter Weikard and Robert Weaver (eds.) (2003). Risk and Uncertainty in Environmental and Resource Economics. Cheltenham: Edward Elgar. World Commission on Environment and Development. (1987). Our Common Future, Oxford University Press, Oxford, UK. GA Mansoori, N Enayati, LB Agyarko (2016). ENERGY: Sources, Utilizations, Legislations, Sustainability, Illinois As Model State, World Scientific Publishing, New Jersey, USA. ↑ SAI Platform 2010. Sustainability Indicators. Sustainable Agricultural Initiative. Retrieved on: 2011-09-04. ↑ Alvarez, G. [www.intracen.org/WorkArea/DownloadAsset.aspx?id=51770 Sustainable Agriculture and Value networks]. Lausanne, Switzerland: Latitude. Retrieved on: 2011-10-04. ↑ Kates, R., Parris, T. & Leiserowitz, A. Harvard (2005). "What is Sustainable Development? Goals, Indicators, Values, and practice" Environment 47(3): 8–21. ↑ 26.0 26.1 Daly & Cobb (1989). ↑ 35.0 35.1 United Cites and Local Governments, "Culture: Fourth Pillar of Sustainable Development". ↑ Beddoea, R., Costanzaa, R., Farleya, J., Garza, E., Kent, J., Kubiszewski, I., Martinez, L., McCowen, T., Murphy, K., Myers, N., Ogden, Z., Stapleton, K., and Woodward, J. (February 24, 2009). "Overcoming systemic roadblocks to sustainability: The evolutionary redesign of worldviews, institutions, and technologies." Proceedings of the National Academy of Sciences. 106 8 2483–2489. Retrieved on: 2009-08-20. ↑ 51.0 51.1 World Wide Fund for Nature (2008). Living Planet Report 2008. Retrieved on: 2009-03-29. ↑ Millennium Ecosystem Assessment (2005). Ecosystems and Human Well-being: Biodiversity Synthesis. World Resources Institute, Washington, DC. pp. 1-85. Retrieved on: 2009-07-08-01. ↑ Kates, Robert W., ed. (2010). Readings in Sustainability Science and Technology - an introduction to the key literatures of sustainability science CID Working Paper No. 213. Center for International Development, Harvard University. Cambridge, MA: Harvard University, December 2010. ↑ 62.0 62.1 Brower & Leon (1999). ↑ 71.0 71.1 Cohen, J.E. (2006). "Human Population: The Next Half Century." In Kennedy D. (Ed.) "Science Magazine's State of the Planet 2006-7". London: Island Press, pp. 13–21. ISSN 1559-1158. ↑ Turner, Graham (2008) "A comparison of The Limits to Growth with thirty years of reality" Commonwealth Scientific and Industrial Research Organisation (CSIRO) Sustainable Ecosystems. ↑ Global Footprint Network. (2008). "Living Planet Report." Retrieved on: 2008-10-01. ↑ Buchenrieder, G., und A.R. Göltenboth: Sustainable freshwater resource management in the Tropics: The myth of effective indicators, 25th International Conference of Agricultural Economists (IAAE) on "Reshaping Agriculture’s Contributions to Society" in Durban, South Africa, 2003. ↑ University of Copenhagen (March 2009) "Key Messages from the Congress" News item on Copenhagen Climate Congress in March 2009. Retrieved on: 2009-03-18. ↑ Hegerl, G.C. et al. (2007). "Climate Change 2007: The Physical Science Basis." Chapter 9, "Understanding and Attributing Climate Change." Contribution of Working Group 1 to the Fourth Assessment Report of the Intergovernmental Panel on Climate Change. p. 676. Cambridge: Cambridge University Press. Full report at:  IPCC Report. Retrieved on: 2009-03-18. ↑ 90.0 90.1 Hoekstra, A.Y. (2006). "The Global Dimension of Water Governance: Nine Reasons for Global Arrangements in Order to Cope with Local Problems." Value of Water Research Report Series No. 20 UNESCO-IHE Institute for Water Education. Retrieved on: 2009-03-18. ↑ Kerr, R.A. (2004). "A slowing cog in the North Atlantic ocean's climate machine." Science 304: 371–372. Retrieved on: 2009-04-19. ↑ World Business Council for Sustainable Development This web site has multiple articles on WBCSD contributions to sustainable development. Retrieved on: 2009-04-07. ↑ 117.0 117.1 Shiklamov, I. (1998). "World Water Resources. A New Appraisal and Assessment for the 21st century." A Summary of the Monograph World Water Resources prepared in the Framework of the International Hydrological Programme. Retrieved on: 2009-03-18. ↑ Lua error in Module:Citation/CS1/Identifiers at line 47: attempt to index field 'wikibase' (a nil value). Retrieved on: 2009-03-18. ↑ Steinfeld H., Gerber P., Wassenaar T., Castel V., Rosales M., de Haan, C. (2006). "Livestock's Long Shadow - Environmental Issues and Options" 390 pp. Retrieved on: 2009-03-18. ↑ Heitschmidt R.K., Vermeire L.T., Grings E.E. (2004). "Is Rangeland Agriculture Sustainable?". Journal of Animal Science. 82 (E–Suppl): E138–146. PMID 15471792. CS1 maint: Multiple names: authors list (link) <templatestyles src="Module:Citation/CS1/styles.css"></templatestyles> Retrieved on: 2009-03-18. ↑ "Earth Stats." Gardensofbabylon.com. Retrieved on: 2009-07-07. ↑ Holmgren, D. (March 2005). "Retrofitting the suburbs for sustainability." CSIRO Sustainability Network. Retrieved on: 2009-07-07. ↑ Hasna, A.M., Sustainability and Economic Theory : an Organism in Premise. The International Journal of Knowledge, Culture and Change Management 9(11): p. 1-12. ↑ Diamond, J. (2005).Collapse: How Societies Choose to Fail or Succeed. New York: Viking Books. ISBN 1-58663-863-7. ↑ WBCSD's 10 messages by which to operate World Business Council for Sustainable Development. Retrieved 2009-04-06. ↑ Huesemann, M.H., and J.A. Huesemann (2011). Technofix: Why Technology Won’t Save Us or the Environment, Chapter 5, "In Search of Solutions II: Efficiency Improvements", New Society Publishers, Gabriola Island, Canada. ↑ Huesemann, M.H., and J.A. Huesemann (2011).Technofix: Why Technology Won’t Save Us or the Environment, New Society Publishers, Gabriola Island, Canada, p. 111. ↑ 163.0 163.1 Lua error in Module:Citation/CS1/Identifiers at line 47: attempt to index field 'wikibase' (a nil value). ↑ Robert Costanza et al, "Complementary Currencies as a Method to Improve Local Sustainable Economic Welfare", University of Vermont, Burlington, VT, December 12th, 2003. ↑ David Boyle, "Sustainability and social assets: the potential of time banks and co-production", Grassroots Initiatives for Sustainable Development, June 10, 2005. ↑ Daly, H. (2007). Ecological economics: the concept of scale and its relation to allocation, distribution, and uneconomic growth. pp. 82–103. In H. Daly. Ecological Economics and Sustainable Development: Selected Essays of Herman Daly. Cheltenham, UK: Edward Elgar Publishing. ↑ Jackson, T. (February 2008). Tim Jackson, Roland Clift, "Where's the Profit in Industrial Ecology?" Journal of Industrial Ecology 2:(1): 3–5. ↑ See, for example: Zhexembayeva, N. (May 2007). 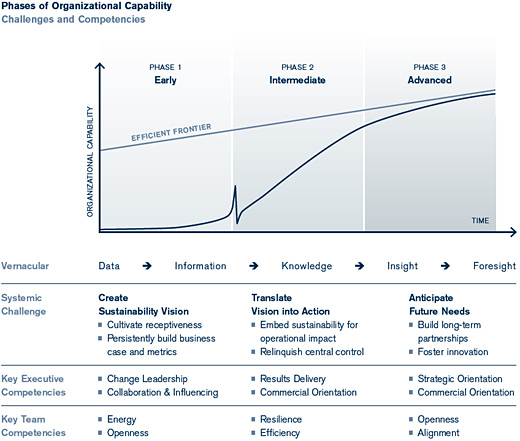 "Becoming Sustainable: Tools and Resources for Successful Organizational Transformation." Case Western University, Center for Business as an Agent of World Benefit 3(2) and websites of The Sustainable Business Institute, and the WBCSD." Retrieved on: 2009-04-01. ↑ Leadership in sustainability Retrieved on: 2009-04-01. ↑ Magdoff & Foster 2011, pp. 42-3. ↑ 187.0 187.1 Kovel 2007, p. 38. ↑ Magdoff & Foster 2011, pp. 27, 122-3. ↑ Kovel 2007, pp. 173-87. ↑ Magdoff & Foster 2011, pp. 108-9. ↑ Magdoff & Foster 2011, pp. 111-4. ↑ Magdoff & Foster 2011, pp. 102-7. ↑ Kovel 2007, pp. 285-6. ↑ Magdoff & Foster 2011, pp. 8-9. ↑ 203.0 203.1 Blewitt (2008) p. 96. ↑ Capitalism vs. the Climate; What the right gets - and the left doesn't - about the revolutionary power of climate change. by Naomi Klein November 9, 2011. This article appeared in the November 28, 2011 edition of The Nation (pages 11-21). ↑ Faunce, T 2012, 'Towards a global solar fuels project — Artificial photosynthesis and the transition from anthropocene to sustainocene', Procedia Engineering, vol. 49, no. 2012, pp. 348-356. ↑ 219.0 219.1 James, S. (2003). "Eco-municipalities: Sweden and the United States: A Systems Approach to Creating Communities". Retrieved on: 2009-03-16. ↑ Ewing, R "Growing Cooler - the Evidence on Urban Development and Climate Change". Retrieved on: 2009-03-16. ↑ LaColla, T. "It’s Easy to be Green! Eco-Municipalities: Here to Stay". theplanningcommission.org. Retrieved on: 2009-03-16. ↑ Stockholm Environment Institute "Great Transitions". Retrieved on: 2009-04-12. ↑ WWF. Sustainability also refers to social structure (April, 2008). "Weathercocks and Signposts: The Environment Movement at a Crossroads". Summary also available here . Retrieved on: 2009-03-13. Costanza, R. et al. (2007). An Introduction to Ecological Economics. This is an online editable text available at the Encyclopedia of Earth. First published in 1997 by St. Lucie Press and the International Society for Ecological Economics. ISBN 1-884015-72-7. Huesemann, M.H., and J.A. Huesemann (2011). Technofix: Why Technology Won’t Save Us or the Environment. New Society Publishers, Gabriola Island, Canada, ISBN 0865717044, 464 pp. Magdoff, F. & Foster, J.B. (2011). What Every Environmentalist Needs to Know About Capitalism: A Citizen's Guide to Capitalism and the Environment. New York, NY: Monthly Review Press. ISBN 978-1-58367-241-9. Visser, Wayne, Dirk Matten, Manfred Pohl, and Nick Tolhurst (Editors) (2007). The A to Z of Corporate Social Responsibility. London, England; New York, NY: Wiley. ISBN 978-0-470-72395-1. Von Weizsacker, E.U. (1998). Doubling Wealth, Halving Resource Use. Earthscan, ISBN 1853834068. Von Weizsacker, E.U., C. Hargroves, M.H. Smith, C. Desha, and P. Stasinopoulos (2009). Factor Five: Transforming the Global Economy through 80% Improvements in Resource Productivity. Routledge, ISBN 1844075915. This page was last modified on 13 January 2016, at 10:12.